Even when paired with the simplest outfit, heads will turn with this effortlessly chic tote. Sleek black patent leather. 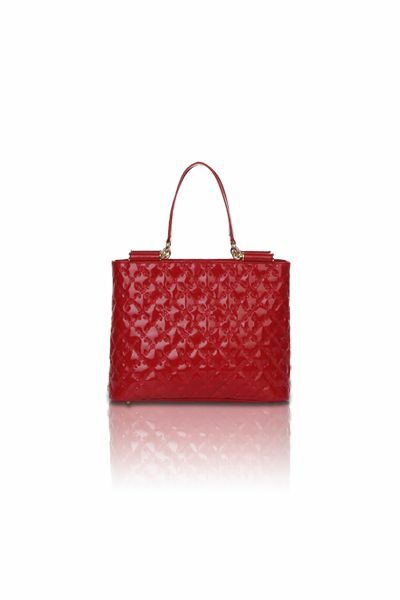 Stitched RR RIONI in a quilted design. Punctuated with gold hardware. Black fabric RIONI monogram print lining. Top zip closure opens to an interior featuring a zippered center divider pouch. A side pouch and a cell phone pocket allows for easy organization. Interior side zippered pocket. 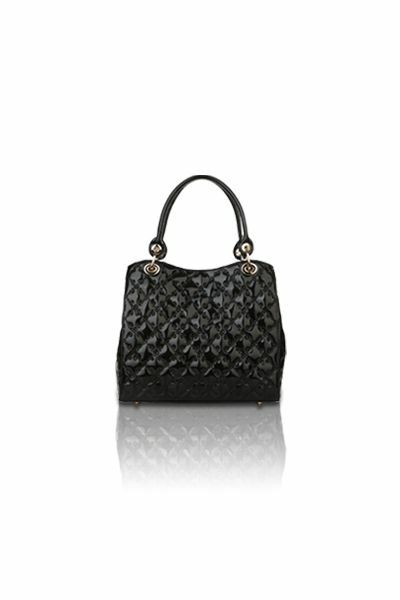 Product: The Zoey Tote (Black) was added to cart.